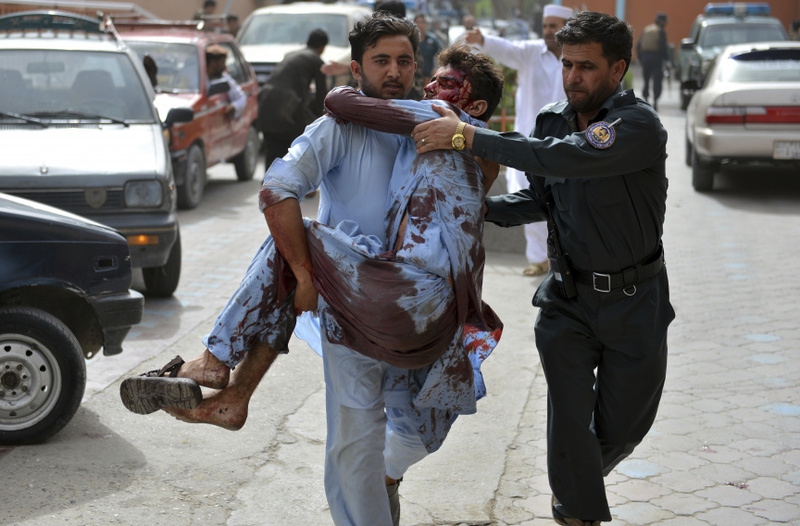 KABUL, Afghanistan (AP) — A suicide bomber struck in Afghanistan's eastern city of Jalalabad on Sunday, killing at least 19 people in the second attack in as many days targeting Taliban fighters, security forces and civilians celebrating a holiday cease-fire. The Taliban later rejected an extension of the cease-fire. Najibullah Kamawal, director of the provincial health department, said another 60 people were wounded in the attack, which struck a crowd of people as they left the governor's compound. No one has claimed the attacks, but they appeared to be the work of the Islamic State group, which is not included in the cease-fire and has clashed with the Taliban in the past. The local IS affiliate has a strong presence in the province. After the attack, Afghan President Ashraf Ghani announced a nine-day extension of the cease-fire. "We hope that the extension of the cease-fire will be announced by the leadership of the Taliban," Mohammad Karim Khalili told a news conference in the capital, Kabul. He said there had been an "exchange of views" between the government and the Taliban over the past week, without elaborating. But later Sunday the Taliban announced that their cease-fire had ended and they had no intention of extending it. "The cease-fire was announced by the Taliban for just the three days of the Eid holidays, which have come to an end this Sunday evening," Taliban spokesman Zabihullah Mujahid in a statement. "All Mujahidin (Taliban) should continue their operations against foreign invaders and their puppets,"
The Taliban's statement added that their cease-fire was for their fighters to celebrate the holiday peacefully and not in response to the government's cease-fire announcement.